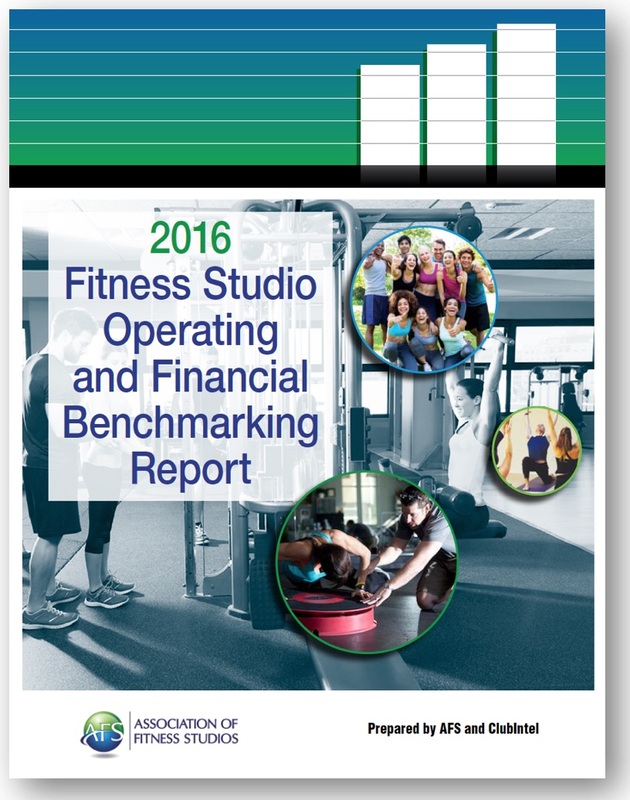 The study builds on the 2015 Report that, for the first time in the fitness industry, identified and measured key financial elements of the studio business, with insight narrative provided by ClubIntel, the study’s author. Market research is a critical component of the mission of most trade associations, and it certainly is that for AFS. We will continue to develop unbiased, credible data to enhance our member’s ability to make sound business decisions. Regardless of where you’re positioned in the fitness industry, we trust the data in this Report will prove meaningful to you. Major Finding - AFS Members Make More Money! AFS Members Earn $31,000 More Per Year Than Non-Members & Generate 38% More Per Square Foot! 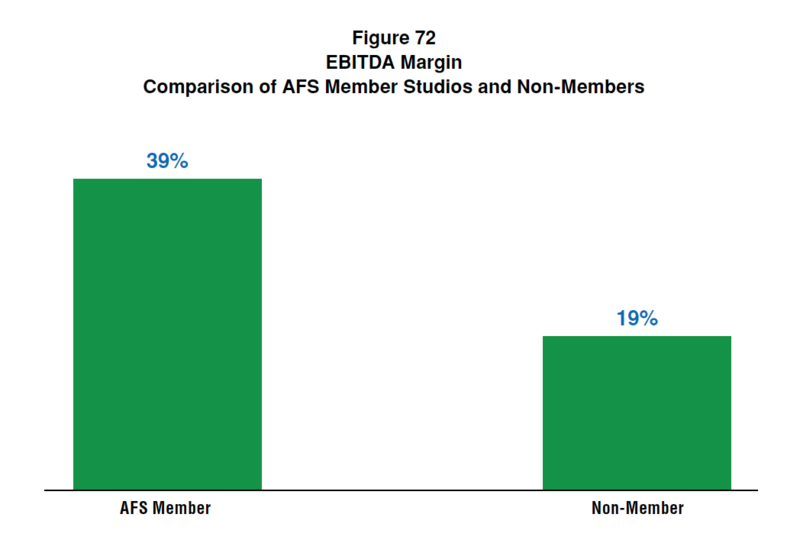 To put this into perspective, if two studios, one an AFS member and one a non-member both generated $500,000 in revenue, the AFS member could expect to have an EBITDA (or take home before taxes) of $195,000 compared to $95,000 for the non-member. That's more than $100,000 more for the AFS member! 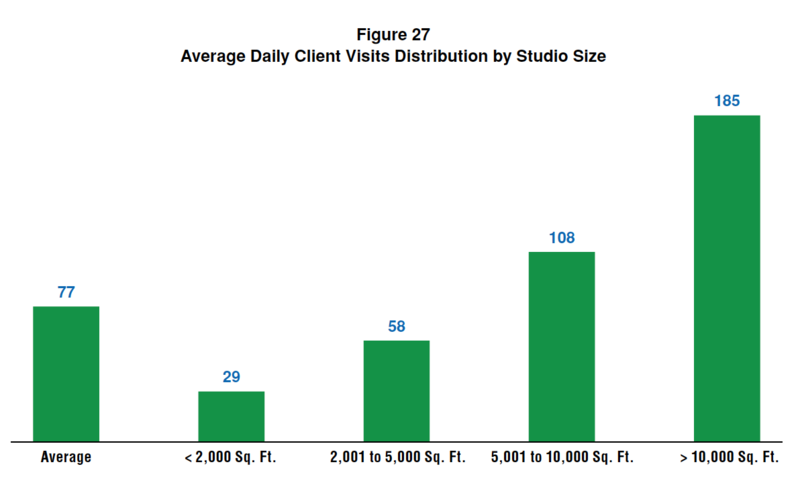 When client traffic is presented from the perspective of studio size, the number of daily visits increases exponentially as the size of the studio gets larger (Figure 27). In most instances, between 20% and 30% of clients are coming through the door on a daily basis. Like all other businesses, it doesn’t just matter how many customers you generate, it also matters how many stay with you, or viewed another way, how few clients you lose. The average fitness studio turns over 24% of its clients annually, indicating a retention rate of 76%, higher than we saw for 2014 when the average attrition rate was 28% (Figure 32), and higher than the averages seen for traditional fitness facility models.